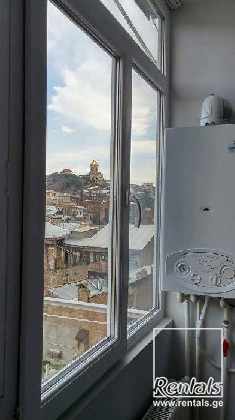 This recently renovated 2-bedroom apartment features brand new, kitchen appliances, newly installed sound-proof windows, hot water and central heating, as well as an enormous balcony with stunning views of the city. Walk to Rustaveli and Agmashenebeli Avenues, old Tbilisi, offices of the EU Delegation, Embassy of Qatar, dry bridge, and numerous parks and gardens. Grocery stores, restaurants, public transport and other amenities are all nearby. Fully furnished. Long or short term. Please contact us for further details or to schedule a viewing.